6/14/2017-HOLLY SEIBOLD Named EMERGING INFLUENTIAL OF THE YEAR-Tysons, Va.
VIENNA, Va., Dec. 11, 2018 – BRAWS: Bringing Resources to Aid to Women’s Shelters hosts its Fifth Annual Mardi Bras fundraiser Friday, Feb. 22, 2019, at the Westwood Country Club in Vienna, Va. More than 500 guests are expected at Mardi Bras, which is the largest annual fundraiser for BRAWS, a volunteer-driven, community-based 501(c)3 nonprofit organization that provides homeless women and children with necessities including new bras and underwear as well as menstrual supplies. Tickets are on sale now at http://www.braws.org/mardi-bras-2019.html for $100, which includes hors d’oeuvres, two drinks, raffles, silent auction, music, photo booth, swag bags, special guests and more. BRAWS is seeking event sponsorships as well as donations of items for the raffles and silent auction. More information can be found at http://www.braws.org. BRAWS has donated thousands of bras, underwear and packages of menstrual products to over 65 area shelters and schools in the last three years. BRAWS provides over 40 local school pantries and teen programs with ongoing deliveries of menstrual supplies to students, to ensure that they don’t miss school due to lack of these items. BRAWS is partnering with the Town of Vienna to launch the first town dispenser program in Virginia, providing free menstrual supplies at two of the newly renovated Vienna Community Center bathrooms and one in the Town Green restroom. BRAWS is a 501(c)3 nonprofit organization that collects new bras (tags on), new underwear, and menstrual supplies products to distribute to homeless women and adolescent girls in the DC metro area. Vienna,VA - BRAWS: Bringing Resources to AId Women’s Shelter has received a $15,000 grant from the Robert I Schattner Foundation. Funds from this grant are earmarked for one of BRAWS most important initiatives, “Bringing Dignity to Disadvantaged Pre-Teen and Teenage Girls and Young Women.” This initiative focuses on pre-teen and teenage girls who are homeless, living in shelters or transitional housing. BRAWS also supports at-risk teens from low-income families identified by school administrators participating in the program. The Robert I Schattner Foundation grant enables BRAWS to expand its services that are currently offered in six (6) Northern Virginia counties and Washington, DC. The Robert I Schattner Foundation is funding a 12-month supply of menstrual products for 150 of the 500 homeless teens (8-17 years old) targeted for inclusion in the 2018-2019 program. KMZ Foundation to launch the “Dignity in School” program, an initiative aimed at increasing access to menstrual supplies in school. Vienna, VA – Thanks to a generous grant of $5,000 from the KMZ Foundation, BRAWS is launching a program in partnership with Manassas Park City Schools. The “Dignity in School” initiative will place dispensers in all MPCS female and unisex school bathrooms that serve students in grades 6th-12th; providing menstrual supplies at all times and at no cost to students. The program will begin April 2018 and continue through June 2019. The effort is part of a national “Menstrual Equity” movement, calling for an increase in access, awareness, and education on the topic of menstruation. MPCS will be the first in Virginia to provide every menstruating student in their district the opportunity to access free pads and tampons in school bathrooms. Delegate Mark Keam (D-35th) introduced a bill last session, House Bill 1434, that would have required all school districts in Virginia to provide menstrual supplies to their students; however, the bill failed in the Education Subcommittee. Maryland, California, Illinois, and New York have been successful in issuing statewide mandates. On December 11, 2017 BRAWS was awarded a new grant from The Cloudbreak Foundation for the sum of $15,000. Money from this grant will be used to continue providing homeless girls, ages 8-17, with the female hygiene products they so desperately need for an entire year; January 2018 through January 2019. BRAWS applied for the 2018 Cloudbreak Foundation grant to continue their important partnership and expand the program to serve even more girls next year. During the current calendar year that began January 2017, BRAWS’ goal was to deliver a 12-month supply of sanitary pads and tampons to 66 homeless girls and teens (8-17 years old) in the Fairfax and Falls Church communities. That is the equivalent of 792 deliveries. To date, BRAWS volunteers made 738 deliveries, and anticipate making an additional 412 deliveries in the next two months, exceeding the initial goal by 358! Thanks to the flexibility of the Cloudbreak Foundation BRAWS has significantly expanded their geographic reach beyond the Fairfax and Falls Church communities they originally intended to serve. By October 2017, BRAWS volunteers had touched the lives of 205 individual girls across Northern Virginia and Washington, DC. BRAWS is committed to this program and always searching for ways to keep delivering feminine hygiene products to girls in need. BRAWS is a volunteer-driven, community-based 501c3 nonprofit organization that helps homeless women and children by providing much needed new bras and underwear, as well as feminine hygiene products. There are approximately 550 homeless women and girls in Fairfax County alone and BRAWS has donated thousands of bras, underwear and packages of feminine hygiene products to over 30 area shelters in the last three years to help them. The Cloudbreak Foundation offers support to organizations that provide immediate services to individuals in need. The Foundation assists community-based charitable organizations in the Washington, D.C., metropolitan area, which promote welfare of children, the elderly and the homeless. Washington, D.C. – On September 5th, The March of Dimes announced their the finalists for the 17th Annual Heroines of Washington Awards gala. Heroines of Washington is one of Washington, D.C.’s most unique events, recognizing and honoring women in the D.C. Metro Area for their dedication to community service. Formerly Heroines in Technology, the March of Dimes has expanded these awards to honor women in various categories including healthcare, real estate and the public sector, among others. Holly Seibold was chosen from a select group of women for giving back to her community through tremendous feats of volunteerism that go above and beyond their employment requirements. Holly’s tireless dedication to BRAWS and her company M2 Academy solidified her placement as a finalist. Holly Seibold is an experienced educator with over ten years of teaching experience in public and private schools in Fairfax County, Virginia. She has earned an undergraduate degree from American University, as well as holds a Master's Degree in Elementary Education from George Washington University's Graduate School of Education and Human Development. She currently the Director or M2 Academy and BRAWS’ Founder and Executive Director. 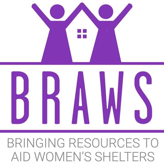 BRAWS is a volunteer-driven, community-based 501c3 nonprofit organization that helps homeless women and children by providing much needed new bras and underwear, as well as feminine hygiene products. There are approximately 550 homeless women and girls in Fairfax County alone and BRAWS has donated thousands of bras, underwear and packages of feminine hygiene products to over 30 area shelters in the last two years to help them. Since 2001, the March of Dimes has honored 101 “heroines” and raised more than $2.5 million to support the organization’s efforts to fight premature birth and birth defects. Heroines of Washington Awards gala guests include directors, CEOs and other high-level individuals from local corporations and government agencies. If you are interested in purchasing tickets for the awards gala on November 2, please visit http://www.marchofdimes.org/heroinesdc. About the March of Dimes: The March of Dimes is the leading nonprofit organization for pregnancy and baby health. For more than 75 years, moms and babies have benefited from March of Dimes research, education, vaccines and breakthroughs. HOLLY SEIBOLD Named EMERGING INFLUENTIAL OF THE YEAR-Tysons, Va.
Holly Seibold, Executive Director and Founder of BRAWS, was named Emerging Influential of the Year by the Northern Virginia Chamber of Commerce (Northern Virginia Chamber), The Voice of Business in Northern Virginia™. The award was presented at the Northern Virginia Chamber’s Outstanding Corporate Citizenship Awards presented at the organization’s Annual Chairman’s Luncheon at the Hilton McLean Tysons Corner. BRAWS was also nominated for Non-Profit of the Year. Presented across seven categories, the awards honor extraordinary business leadership and above-and-beyond corporate social responsibility (CSR). “We’re proud to honor Holly Seibold, a perfect example of the strong commitment to community common throughout Northern Virginia,” said Northern Virginia Chamber President & CEO Jim Corcoran. “Through her leadership and efforts, she is making meaningful contributions to the well-being of our community.” Read Holly’s full interview here. More information about the Northern Virginia Chamber can be found online. To view pictures of the event, visit the Northern Virginia Chamber Flickr page. On December 12, 2016 BRAWS was awarded a grant from The Cloudbreak Foundation for $10,000. The money from this grant will be used to provide homeless girls, ages 8-17, with the female hygiene products they so desperately need for an entire year; January 2017 through January 2018. BRAWS will partner with county social workers, school nurses and guidance counselors to pinpoint the recipients of these products while volunteer liaisons will be appointed to ensure that each homeless girl will receive her pack of pads/tampons by the first of each month. Holly Seibold, Executive Director and Founder of BRAWS, was beyond thrilled to receive this grant. “It’s a dream come true. This grant from The Cloudbreak Foundation will provide our community’s homeless children a one year’s supply of feminine hygiene products. What a difference this will make in a young girl’s life!”. It is one of BRAWS objectives that no homeless girl in 2017 in the Fairfax-Falls Church community will miss school, get sick, or feel undignified because of their period. BRAWS is a volunteer-driven, community-based 501c3 nonprofit organization that helps homeless women and children by providing much needed new bras and underwear, as well as feminine hygiene products. There are thousands of homeless women and girls in in the greater Washington, DC area and BRAWS has donated new bras, underwear and packages of feminine hygiene products to over 30 area shelters in the last two years to help them. On December 8, 2016 BRAWS received a grant on behalf of Phyliss and Sid Bresler of The Bresler Foundation, Inc. for $2000.00 in memory of Charles S. Bresler. Holly Seibold, Executive Director and Founder of BRAWS, was thrilled to receive this grant. The Bresler Foundation, Inc. is a charitable organization located in Rockville, MD with a focus on helping those in need.